In 1963, ZnitZerfDKoeStOF of America Optical Company first put forward the conception of fiber laser and amplifier. They wound 1m’s Nd doped silicate glass fiber on the flash and observed a gain amplification signal of 47dB at the wavelength of 1.06um. But because of the great loss of fiber and the continuous oscillation of the semiconductor laser at room temperature, the fiber laser has not made great progress for a long time. 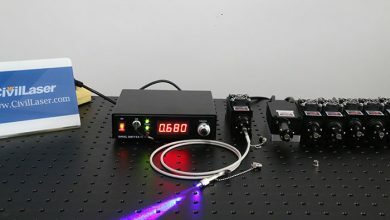 After 1970, low loss communication fiber and LD, which can work continuously at room temperature, have laid the foundation for the development of fiber lasers. In 1973, Stone et al reported the Nd doped fiber laser for the first time. In the middle of the 1980s, Poole and others in Southampton University of England perfected the fabrication process of rare earth doped optical fiber by using gas and liquid phase doping technology. 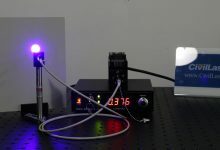 They fabricated optical fiber preform by MCVD method and doped Er into a single-mode fiber to form the active medium of the laser. The first practical erbium doped fiber amplifier (EDFA) was introduced in 1987 and successfully applied in the field of optical communication. 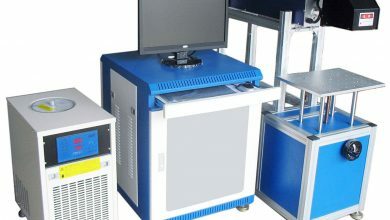 The goal has been shifted to the development of active, rare earth doped fiber amplifiers with high gain, high output power and high stability, and realized the great potential of LD as a pumping source for fiber lasers. 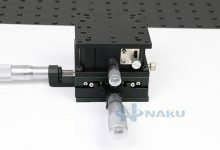 But because the traditional single-mode fiber and LD coupling efficiency is very low, the fiber laser can only generate small power laser output for a long time. Until 1988, Snitzer et al. Proposed double clad pumping technology, has changed the traditional view of people with low power output of fiber laser only, making use of fiber laser to produce high power and high brightness output possible. In 1992, Minelly et al reported the Nd doped more than 1W fiber laser for the first time. In 1995, Zellmer in Germany realized the 9.2W LD pumped circular cladding multimode fiber laser. People began to realize the great potential of Yb doped fiber lasers. In 1994, Pask et al obtained the maximum 0.5W laser output at 1.04um with Yb doped silica double cladding fiber, and the slope efficiency was as high as 80%. Commercial fiber lasers with power up to lOOW have appeared in 2001. By 2004, a variety of new high-power fiber lasers, such as fiber dish laser (Disk Laser), photonic crystal double clad fiber laser, fiber core double clad fiber laser and so on, have appeared. The continuous output power of single fiber laser has exceeded 1KW, and it has practical ability. 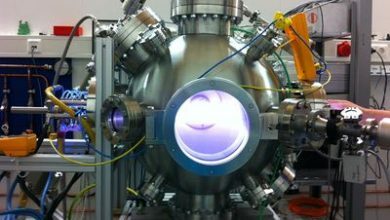 Such as CO2 and Nd:YAG lasers, and thus greatly expanded the field of fiber laser applications. Recently, fiber lasers have been developed rapidly according to different application fields. Others are mode-locked fiber lasers based on nonlinear optical loop mirror designs. In the field of industrial processing, medical, military and space applications, high-power and high brightness fiber lasers have gained tremendous development and become one of the hottest fJ fields of fiber lasers. Yb doped double clad fiber is the best material to achieve high power fiber laser so far, so the research on this type of laser is also the focus of current research. Especially in recent years, the transmission power of single fiber laser has been improved rapidly. According to the analysis of LaserFocusWorld, the fiber laser in the laser market share will reach 2O% in 2007, which used in laser materials processing will reach 24%, the application in space and in the military will reach 59%. 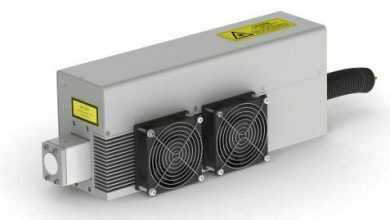 Although there are many types of fiber laser, the design and coverage of new high power (which emerge in an endless stream, continuous fiber laser, high power and high average power pulsed fiber laser), high peak power and narrow pulse width continuous and pulsed fiber laser will likely become the future development trend of fiber laser. 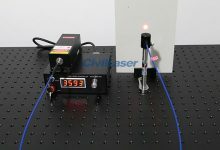 The performance of this kind of laser is excellent, and the existing and potential application fields are very broad and have strong market competitiveness. (1) The continuous output power of single fiber laser has exceeded 1KW, and it has practical ability. (2) develop from high power continuous fiber laser to high average power and high peak power fiber laser. (4) the industrial application of optical fiber laser, low power marking, engraving (100 watts), cutting to higher power metal, welding (lower tile, ten thousand watts) and so on. Fiber laser has become the fastest growing industrial laser, and its market share is rapidly increasing. By 2O08, it grew to $1 billion 471 million. From the 2003 army in 2008, the high power fiber laser market will maintain a high annual growth rate of 14.8%, and eventually reach $490 million in 2008. In 2006, StrategiesUnlimited predicted that fiber lasers would reach $680 million in market value by 2010. It shows that its share in the industrial laser market will continue to increase.By then, fiber lasers will account for at least 2 billion 800 million of the market share of industrial lasers, 1/4. In recent years, the growth rate of high power fiber laser in the international industrial laser market has been obvious to all, and has been well expected. 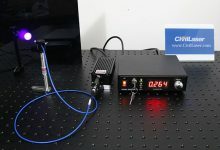 Because of the breakthrough of its own performance, the application field of fiber laser has been continuously expanded, and its own advantages may lead to the dominant position in the future laser market.